A small puzzle game made in 3 days for "A game by its cover 2016" gamejam. 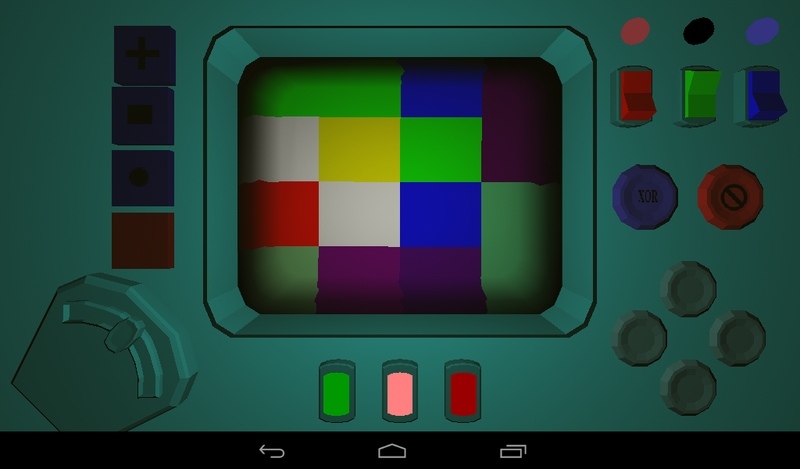 The goal of this game is simple - make image on the monitor all white by using different color masks and XOR operation. At the end we decided that "Noise checker" would be a better cover and title for our game, so we picked cover made by しょうざえもん. All models made by my teammate Leonid Dudakov. All sound taken from https://www.freesound.org. Level switching sound by Rutger Muller. Color switching sound by JarredGibb. Buttons click sound by kwahmah_02. Tumblers switching sounds by FillSoko.